You must be a member of the Boston German Culture Group to attend this activity. Would you like to join this group? Join us for our first activity of Protected content ! I thought it would be a good idea to spend an evening doing something typically German and host a game night! We will meet inside the Wit's End bar to play and they have a great menu with plenty of yummy food options. 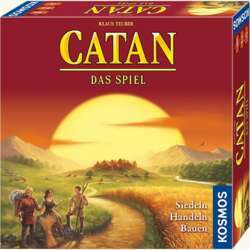 We'll meet to play Settlers of Catan, Looping Louie (the German version of Hungry Hungry Hippos as a drinking game) and several other German games! I will bring a few games from Germany, so a basic knowledge of German language is encouraged but NOT REQUIRED! Also, feel free to bring any German games if you have them! Look forward to playing some games with you all!